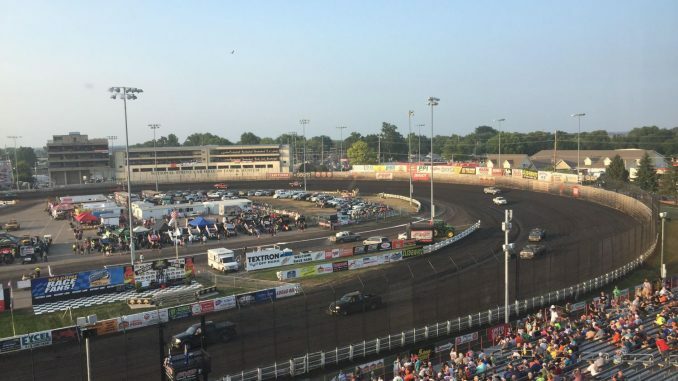 T.J. is on location at and around Knoxville Raceway in Knoxville, Iowa for the final night of the 2018 5-Hour ENERGY Knoxville Nationals presented by Casey’s General Stores. Updates will be posted throughout the day on social media on our Twitter, Facebook, and Instagram accounts along with stories in our Knoxville Nationals section of the website. Tonight’s program is available to watch via online Pay Per View on thecushion.com. Single day and four day pay per view packages are available. The Pay Per View coverage begins shortly before hot laps. Audio for tonight’s program is available live on two different outlets. KNIA/KRLS 95.3 FM and 1320 AM and online at kniakrls.com and the KNIA/KRLS App will have live race coverage starting with Trackside Live at 5:00 P.M. CST with race coverage starting at 7:00 P.M. CST. Live audio is also available online on dirtvision.com shortly before hot laps.